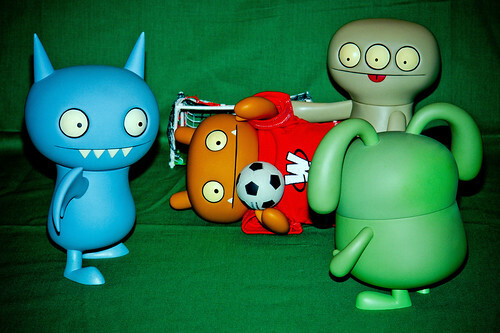 Uglyworld #1578 - Footballerings (Project TW - Image 168-366), a photo by www.bazpics.com on Flickr. With the Euromapeans Championshipers of footballerings ons the telemavisions every nighter froms Polands and Ukraines, me and somes of my bestesters buddies decidereds to has a kickers about tonights too. Betweens the desceptivers wing shakerings of Ice-Bat, the floppyers ears of Ox and Cinko constantlyers tryings to sneakers in behinds me for an easiers tapper in, I has my works cuttereds out for me, but to be honesters alls of that just makers me tryers even harders!